When it comes to child support in divorce cases involving a member of the military, the starting point is whatever the divorcing parties have agreed upon. If both parties have reached an agreement on child support, the courts will normally accept this, as long as it’s in the best interests of the children, the court’s main concern.Of course, this does not happen frequently, so the next question is if a state divorce court has ordered child support. The military will require that its members comply with court-ordered child support. If the courts have not ordered child support, then the military can become involved in the issue, as all branches of the military require their members to pay their debts and meet their legal and ethical obligations, particularly if not doing so would bring discredit to the branch of the military. The military can enforce this through “administrative” means, such as official reprimands, or “punitive” means, such as courts-martial. The Marines, Air Force, Army, Navy, and Coast Guard all fall under Department of Defense policy that requires members of the military to support their children, but each branch of the service enforces this policy in a different way. The Marines, for instance, can punish a Marine under the Uniform Code of Military Justice for nonsupport of dependents. If a member of the Air Force is receiving Basic Allowance for Housing (BAH) that is based on the number of dependents he or she has but is not supporting them, the BAH could be reduced or even eliminated. The Navy’s calculations of what a servicemember should pay in child support if there is no court-ordered child support will take into consideration basic pay but not hazardous duty pay or foreign duty pay. The Coast Guard reserves the right to discharge someone who is not meeting his or her child support obligations. The Army’s rules and regulations about child support differentiate between married and nonmarried members of the military with dependents and can force payments to be made or garnish wages to meet dependency support requirements. The different branches of the military have differing ways of calculating what child support payments should be and also what constitutes military income, that is, not only the base pay but also special pay, including flight pay, hostile fire pay, and hardship duty pay, for instance, and the various allowances (housing, food, medical) members of the military can receive. Overall, getting the military’s help in enforcing child support can get very complex, as the different branches of the military have different ways of making it happen if there is no agreement between the spouses or the exes or if there’s no court order on the matter. On the other hand, the military has an interest in making sure that its officers and enlisted personnel alike meet their civilian and military obligations and will pressure them to do so. Though the servicemember can, through the Servicemembers Civil Relief Act (SCRA), request a 90-day suspension of any civil proceeding due to military duties, the military and civilian courts know that these are at times just “stalling” tactics. This act strengthened the Soldiers’ and Sailors’ Civil Relief Act (SSCRA) of 1940. A civil court could either deny a servicemember’s request for a 90-day suspension and/or issue a temporary order of support until a final determination can be made. One way to get the ball rolling is to contact the servicemember’s commanding officer via a letter about nonpayment of child support. The officer will most likely confer with a member of the Judge Advocate General’s’ Corps, a military lawyer who can get involved with military and civilian law. If the commanding officer does not respond, then it could be a matter of contacting that person’s superior, running it up the chain of command, so to speak. All branches of the military have the ability to handle the matter administratively, perhaps through the threat of a reprimand or not allowing the service member to reenlist. They can also handle the matter with punishment that could lead to a discharge. 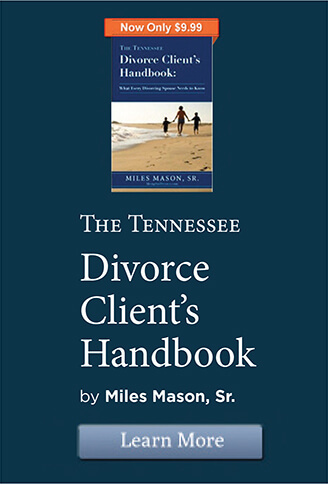 Tennessee’s Child Support Guidelines says that a member of the military’s Basic Allowance for Housing (BAH), Basic Allowance for Subsistence (BAS), and Variable Housing Allowances (VHA) are taken into consideration when it comes to child support even though the member of the military does not receive this in the form of pay or cash. These benefits can significantly increase the amount of child support awarded. See Fringe Benefits. This brief summary is meant simply to touch on the many differing issues that child support in a divorce involving a member of the military can raise. 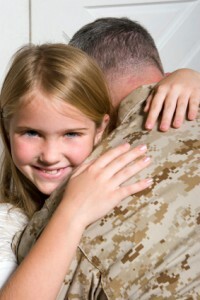 The specifics of any one case can have a great effect on determining the best way for the client to proceed, so this is definitely an area of the law that requires an attorney with a solid grasp of not only state laws and guidelines when it comes to child support but also the different branches of the military’s policies and procedures for enforcing child support obligations. For legal updates, news, analysis, and commentary, visit our Tennessee Family Law Blog and its Child Support category. A Memphis child support attorney from the Miles Mason Family Law Group can help you with Tennessee child support issues including setting or modifying child support. To schedule your confidential consultation about Tennessee child support, call us today at (901)683-1850.